What a better time than now to experience all the history, majesty, miracles, and prophecy that awaits us in the land of the Bible! 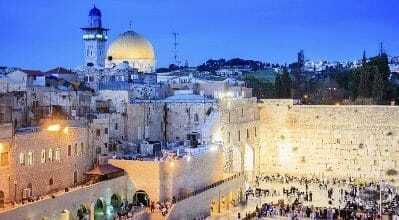 This trip is a personal, deeply spiritual experience; Gil Travel’s Christian Pilgrimage to Israel and Jordan will leave you with a sense of wonder as you explore the depths of biblical sites. Continue into Jordan for the exquisite experiences offered by Jerash, Amman, Madaba, and glorious Petra for a trip certainly worthy of a true Christian Pilgrim. Welcome to Israel! Upon arrival at Ben Gurion Airport, proceed to the arrivals hall. Your driver will meet you at the La Farina Bakery and bring you to your hotel in Tel Aviv for dinner. 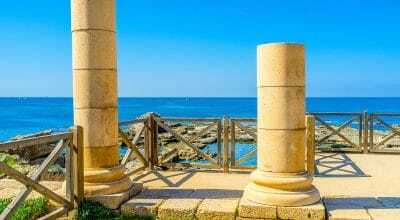 Following an Israeli buffet breakfast, drive north along the coastal plain to Caesarea. Visit the excavations of this ancient city, the Roman theatre and aqueduct. Continue to Megiddo (1 Kings 4.28, 9,15, 2 Kings 23,29 & Revel. 16.16), identified as the site of Armageddon. Visit the archaeological excavations at Megiddo, including the well-preserved water supply system. 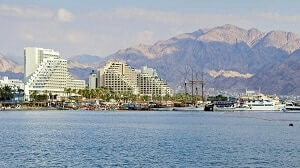 Drive to the beautiful port city of Haifa for a panoramic view of the Bahai gardens and Haifa Bay. From Haifa continue to Acre (Micah 1.10), capital of the Crusaders for more than a century. Visit the ancient city and harbor. After a short tour of the Kibbutz grounds we take a boat ride across the Sea of Galilee to Capernaum (Matt. 4.13 13.54, 17.24, Luke 7, Mark 1.2, John 4.46-54). Visit the remains of the 2nd century synagogue. Proceed to Tabgha (Matt. 13, Mark .33-45, & John 21), the site of the miracle of fish and loaves, and visit the Church of Multiplication with its 4th century mosaic floor. Continue to the Mount of the Beatitudes (Matt. 5,6,7,8), where Jesus delivered the Sermon on the Mount. Drive to the Banias Spring and Waterfall (Matt. 16.13 and Mark 8.27), where Jesus was recognized as The Messiah by His Disciples. Tour the Golan Heights, with its valleys, grazing land and snow capped mountains. 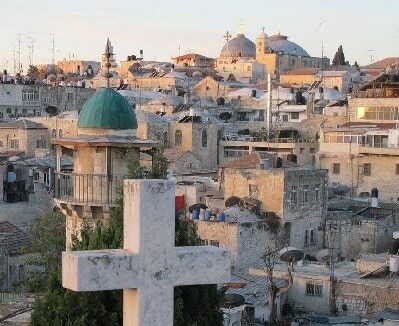 Begin the day with a drive to Nazareth (Luke 1.26, 4.16-29, Matthew 2.23) via Cana of Galilee (John 2.1-11). In Nazareth, we shall visit the Church of the Annunciation, St. Joseph’s Workshop and Mary’s Well. 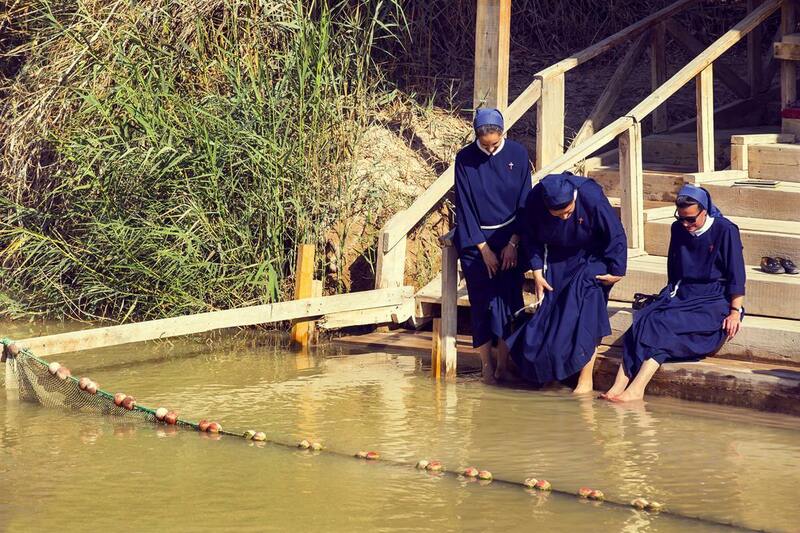 Next on our program is the Jordan River and the Baptismal site Yardenit. Continue to Beit Shean, one of the ancient Decapolis cities (Mark 5.20, 7.31), and visit the Roman theatre. This is the city where Saul and his son Jonathan were nailed to the walls (1st Samuel 31.10). Judges 1.27 also mentions Beit Shean. Continue south along the shores of the River of Jordan. Passing Jericho, we proceed westward and climb to the Golden City of Jerusalem. Today we visit the Old City of Jerusalem. Our day begins with a panoramic view from the Mount of Olives, overlooking the walls of the old city and the ancient Jewish cemetery. Visit the Church of All Nations. Proceed to Mount Zion to see the tomb of King David and the nearby Room of the Last Supper (Mark 14.13, Luke 22. 10-38, Matt 26 17-29, Acts 1.13 and Acts 2 the Pentecost). Walk through the Cardo, the main street of Jerusalem 2000 years ago. 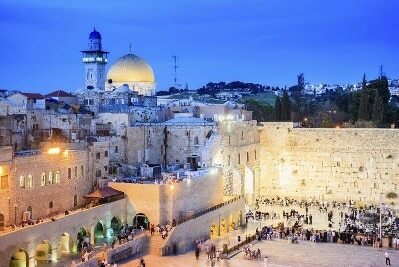 View the Temple Mount and the Western Wall. Walk along the Via Dolorosa, where Jesus carried His Cross. Continue to the Church of the Holy Sepulchre (Matt. 27. 33-57, 28.10). walk through the colorful Arab bazaar and visit the Garden Tomb. Today’s program is dedicated to the new city of Jerusalem. Visit the model of ancient Jerusalem. Continue to Yad Vashem, Israel’s memorial to the victims of the Holocaust. Enter the site by walking along the Street of the Righteous Gentiles, dedicated to the non-Jews that risked their lives in order to save their Jewish neighbors. Continue to Ein Karem, birthplace of John the Baptists (Luke 1.39-80). This Spanish style church and Mary’s well is where Mother Mary met her cousin Elizabeth. Proceed to Bethlehem * to visit the Church of the Nativity. Drive through the Judean Desert to Qumran, where the Dead Sea Scrolls where found in 1947 by a Bedouin boy. Visit the ancient city of Qumran and drive along the shore of the Dead Sea, the lowest place on earth, to Masada, the last stronghold of the Jews after the destruction of the Second Temple in 70 A.D. Ascend Masada by cable car and visit the food storeroom, water irrigation system and Herod’s Palace. 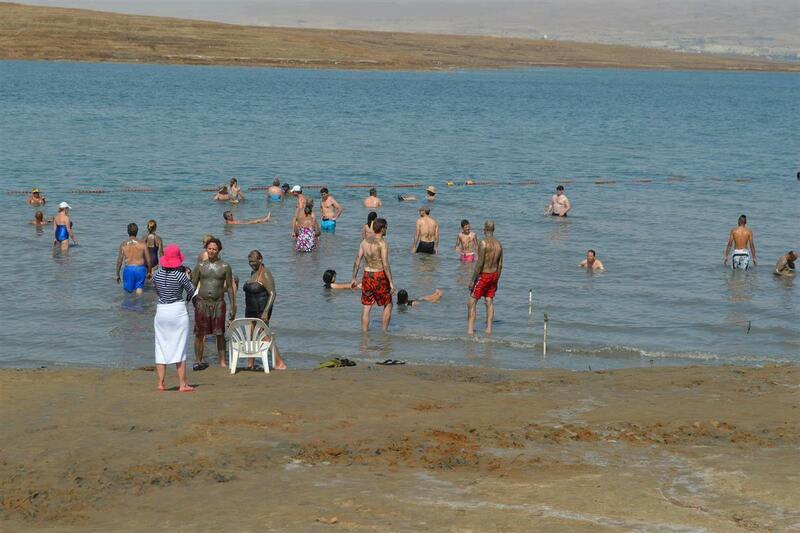 Time and weather permitting we will have an opportunity to float on the Dead Sea waters. Drive from Tel Aviv and Jerusalem to the border crossing procedures to enter Jordan. Proceed to Jerash - city of the Decapolis, located about 45Km North of Amman in the fertile heights of the Gilad, visit the ancient Roman city with colonnaded streets, the baths and the hill of the top Temple etc. Then drive to Amman for a city tour of the Jordanian Capital. After early breakfast, leave the hotel and travel south on the road to Wadi Musa. Then on horseback to the "Siq" (canyon) and then on foot to Petra known as "Sela Edom" or red rock city, the ancient capital of the Nabateans from 3rd century B.C. to 2nd Century A.D. Visit the most interesting monuments, such as the Treasury, El Khazneh (a tomb of a Nabatean king) then the field of tombs, obelisks, the altar, (Al Madhbah) from this point you can view the whole of the rock city, then back to Wadi Musa village. Drive to Madaba to see the ancient mosaic map of the Holy Land and ruins of historical sites. Continue about 10Kms. to Mount Nebo, from where Moses viewed the Promised Land. From there you will see the Jordan Valley, Jericho, Dead Sea, etc. Visit the remains of a Byzantine church with a mosaic floor, and then drive to the border and to Tel Aviv. Private transfer from hotel to airport for your departure international flight. * Bethlehem visit subject to availabilityNote: All itineraries are subject to change **A minimum of 2 passengers is required for regular tour service. All tours are subject to availability and should be confirmed within 72 business hours.